Time to Get Our Toes Sandy!! Posted in Uncategorized and tagged beach photos, beach pics, beach portraits, Couture Portraits, family photos, family pics, family portraits. Bookmark the permalink. Thank you moms & dads for the honor of capturing your little love’s portraits! We love your little kiddos!!!! Enjoy this new piece!! Posted in Couture Babies, Uncategorized and tagged baby images, children portraits, family pics, family pictures, family portraits, images, kid pictures, kiddos, maternity images, maternity pics, maternity pictures, newborn pictures, newborn portraits, portraits, toddler, wobbler. Bookmark the permalink. Posted in Couture Kids, Uncategorized and tagged children portraits, family pics, family pictures, family portraits, images, kid pictures, kiddos, portraits, toddler, wobbler. Bookmark the permalink. Working in the clinic was powerful for me! I started the week off in the dentist office and soon learned that was not the place for me. Young children were in line for hours waiting to get one or several teeth pulled. We did have Novocain for them, but my heart just broke when I watched the sweetest little girl have four teeth removed. She was so young, and it just kills me that they do not have access to regular cleanings every six months like we do. They were in so much pain that they were actually happy to have these teeth removed. Luckily, a few of my teammates loved working in the dentist! So….. The second day I helped open the eye clinic and then assisted the optometrist. 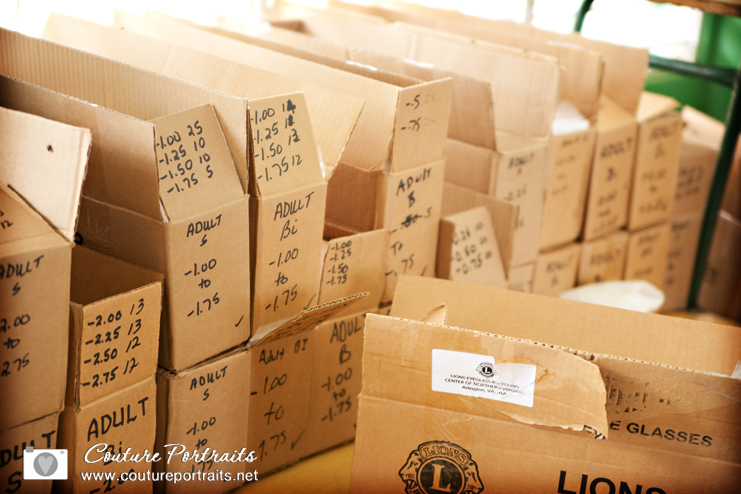 He examined each patient and handed me their prescription; I then searched through the meticulously marked boxes, donated by the Lions Club, for a pair of eye glasses that matched that prescription. It was so exciting and even humbling to place a pair of glasses on my new Dominican friends and see their faces when they could READ! The smiles that showed up on those sweet faces just warmed my soul!! We actually helped people to see better! All of you that financially supported me–YOUR money helped these people see!! It was that morning in the eye clinic that I experienced my first, of many, miracle! Several Dominicans had the same prescription (-.5/-.5), and I only had about 5 pairs that matched up. I thought to myself, “Doc better stop giving that prescription to me because we are going to run out of glasses!” But then I remembered who God is and thought, “Well, either there won’t be any more patients with that prescription, or I will find a whole box of missing eyeglasses, or something! God will handle it, right?” Well, God handled it! It was like the Fishes and Loaves in the Bible–the .5/.5 prescriptions kept coming, and I never ran out of eyeglasses. They kept multiplying! It was so wild!! Every person, thousands of people, that saw the eye doctor that week walked out with a new pair of eye glasses and great vision! They could see! Take it from someone who is blind without my contacts–I know how difficult it is when you can’t see! Don’t ever switch my shampoo and conditioner positions in my shower because I will put the wrong one in my hair! The rest of the week it was back to crowd control. I did try triage one afternoon and while I enjoyed it, my favorite by far was helping the eye doctor and being with the people in the waiting lines. In the lines, I was able to hold every single baby and child that came to the clinic. I believe God’s plan for me on this trip was simply to love on the locals. To show them God’s love by hugging on them and by loving on their children. SO, THANK YOU! Thank you for believing in me, encouraging me, supporting me, and praying for me! I needed all of that from you! The people in La Bomba, Santo Domingo needed that from you! It stretched me in ways I can’t begin to describe. My relationship with God my Father is even stronger than it was February 7th. My relationship with my friends on the team has impacted me in so many ways. And now I love the people in Senegal, Haiti and the DR! 🙂 YAY!! 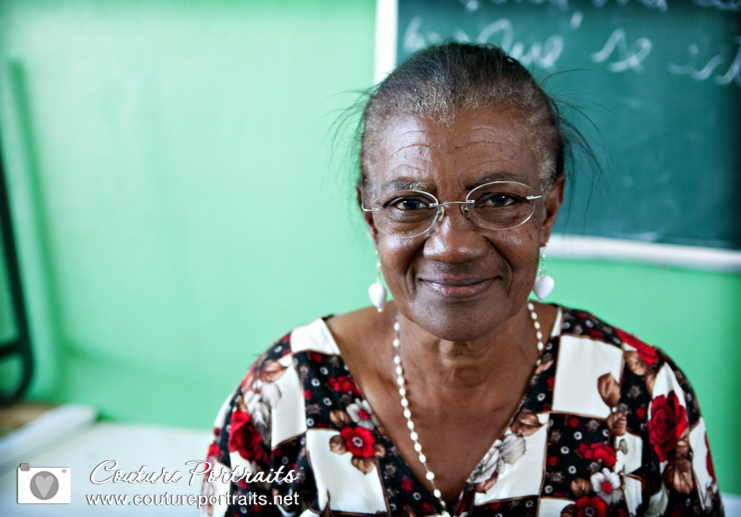 Posted in Studio News, Uncategorized and tagged community, Couture Portraits, Dominican Republic, DR, Forest Hill Church, kids, kym, medical missions, medicine, mission trip, photographs, Photography, santo domingo. Bookmark the permalink. While Forest Hill Church focuses on serving people locally in the Charlotte area, we also believe in global outreach. We will be volunteering along side our longtime partner, Pastor Mario. Pastor Mario is with the Evangelical Free Methodist Church in Villa Mella; FH has been working with him and his team for over 20 years. Once a year a team from FH travels to the DR to serve the people’s basic medical needs. Our medical trip will focus on all types of specialties – family practice, internal medicine, vision and dental. We will treat colds, allergies, skin conditions and infections. We will also help with children suffering from malnutrition, parasites, and eating disorders. With simple antibiotic treatments and vitamins, many of these conditions can be stopped. It is my understanding that people will be standing in line for hours waiting to get just a bottle of Tylenol, to have a tooth pulled because the pain from a cavity is too much to bear or for an old pair of eye glasses just so they can read. Last year the team served approximately 5,000 people! This year we are expecting to serve close to 9,000 Dominicans! Can you imagine 9,000 people standing in line for their once a year BASIC medical examination/treatment? If my throat is the slightest bit sore I run to my doctor and thirty minutes later I have a Z pack! These people stand in line for days just to have a tooth pulled! The second way you can help is financial support. Each of us need to raise $2500 and I still have $1,315 left to raise! YIKES! If you are interested in donating to the February trip please visit our blog: http://fhcmissions.org/dominicanrepublic, click on “donate” then “Kym”. Your donation goes to medicine for the locals as well as our travel, lodging and food. 100% of your donation goes to this mission trip and is tax deductible – ask me for details. Please pray for the people in the DR, that they can receive the medical help they need. Please pray for our team, for God’s guidance and protection. Thank you so much for your love & prayers. Posted in Studio News and tagged Couture Portraits, Dominican Republic, DR, Forest Hill Church, medical missions, mission trip. Bookmark the permalink. He spoiled you with flowers, your favorite jeans or chocolate; now, it’s your turn to do something special for him. Why not start off by planning a little date for your little monkeys and their favorite daddy?! 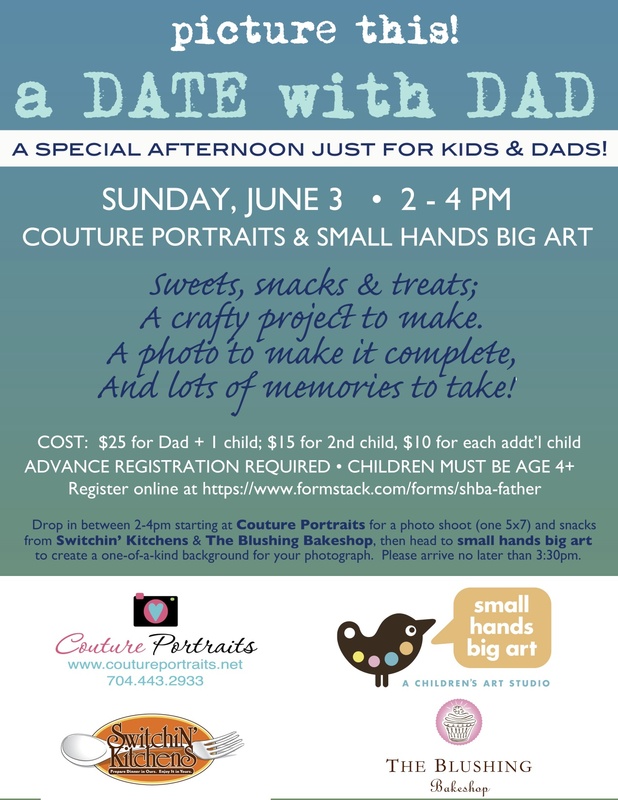 We’ve got a fun afternoon planned for your little ones and their dad. They’ll start off at our studio where we’ll have yummy treats from The Blushing Bakeshop and savory snacks from Switchin Kitchens. 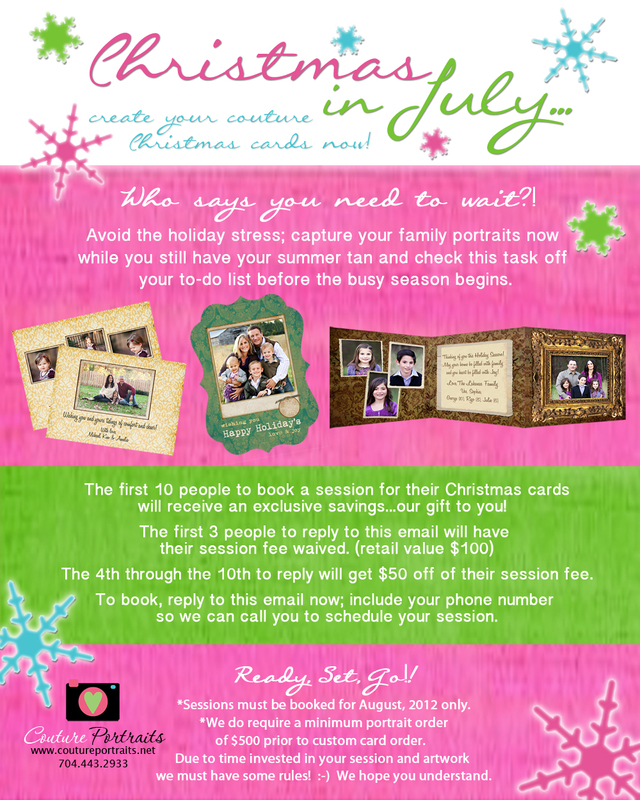 We’ll snap some photos to make sure to capture the memory (a 5 x 7 will be provided a few weeks later!). Then it’s off to our neighbors, small hands big art, where they’ll be in for another treat – this time, one that they get to create themselves. The one-of-a-kind backdrop they craft together will fit perfectly behind their image that’s captured at Couture Portraits and will become a new resident of your walls, taking prime positioning, of course! Mark your calendar for June 3 but let us know prior to – we need to make sure to have this day specially planned for those special people in your family. And here’s a little secret: if you plan this just right, you may just get a little alone time yourself. Shhhh!! “Like” us? Make it official!